I/Q modulators and I/Q demodulators change the amplitude, frequency, or phase of a carrier signal in order to transmit information. I/Q modulators split an incoming data stream into its in-phase (I) and quadrature (Q) components mix the resulting signals with local oscillators that are 90º apart in phase, and then combine the outputs vectorially in a 0º mixer. I/Q modulators - In an I/Q (In-phase/Quadrature) modulator the incoming data stream is split into its in-phase (I) and quadrature (Q) components (the I and Q signals). These signals are mixed with local oscillators that are 90º apart in phase. The outputs of the two mixers are vectorially combined in a 0º combiner. I/Q demodulators - In an I/Q demodulator, the RF signal is applied to 0º Splitter (hybrid) and the resulting signals are mixed with two local oscillator (LO) signals that are 90º apart in phase. This process produces two output signals in phase quadrature (I & Q). I/Q modulator / demodulator - An arrangement that combines an I/Q modulator and an I/Q demodulator in the same unit. I/Q modulators and I/Q demodulators can modulate signals, demodulate signals, or perform both modulation and demodulation. Modulator specifications include carrier frequency range and modulation frequency. Carrier frequency, also known as the center frequency, is a technical term used to indicate the nominal frequency of an analog frequency modulation. Modulation frequency is the process of changing a higher frequency carrier signal in proportion to a lower frequency message, or information, signal. I/Q data are highly prevalent in RF communications systems, and more generally in signal modulation, because it is a convenient way to modulate signals. Demodulator specifications include carrier frequency range, RF frequency range, output frequency range, and voltage standing wave ratio (VSWR). RF frequency range - RF frequency is a rate of oscillation in the range of about 3 kHz to 300 GHz, which corresponds to the frequency of radio waves, and the alternating current which carry radio signals. IF (I/Q) frequency range - Intermediate frequency is a frequency to which a carrier frequency is shifted as an intermediate step in transmission or reception. It is created by mixing the carrier signal with a local oscillator signal in a process called heterodyning. VSWR - A unitless ratio ranging from 1 to infinity, VSWR expresses the amount of reflected energy at the input of the device. A value of one indicates that all of the energy passes. Any other value indicates that a portion of the energy is reflected. For I/Q modulators and I/Q demodulators, VSWR can also be expressed in terms of return loss (dB). I/Q modulators and I/Q demodulators use several types of connectors. Bayonet Neil-Concelman (BNC) connectors are used in video and RF applications to 2 GHz. Threaded Neil-Concelman (TNC) connectors are similar in size to BNC connectors, but feature a threaded coupling nut for applications that require performance to 11 GHz. Miniature coaxial (MCX) connectors provide broadband capability through 6 GHz and are used in applications where weight and physical space are limited. Micro-miniature coaxial (MMCX) connectors are smaller than MCX connectors, but feature a more robust interface for greater durability. Ultra high frequency (UHF) connectors are designed with non-constant impedance for use in comparatively low voltage and low frequency applications. Mini-UHF connectors are well suited applications in which size, weight and cost are critical. Subminiature-A (SMA) connectors directly interface the cable dielectric without air gaps. 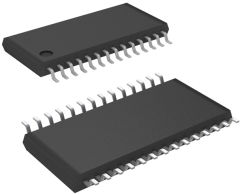 Subminiature-B (SMB) connectors snap into place and are used for frequencies from DC to 4 GHz. 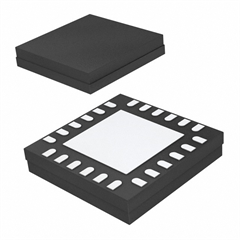 Subminiature-P (SMP) connectors are rated to 40 GHz and, depending on detent type, can withstand from 100 to 100,000 interconnect cycles. Other connectors for I/Q modulators and I/Q demodulators include Type F, Type N, 1.6/5.6, and 7-16 connectors. There are several package types for I/Q modulators and I/Q demodulators. Surface mount technology (SMT) adds components to a printed circuit board (PCB) by soldering component leads or terminals to the top surface of the board. Through hole technology (THT) mounts components by inserting component leads through holes in the board and then soldering the leads in place on the opposite side of the board. Connectorized devices attach with coaxial or other types of connectors. Waveguide assemblies consist of a hollow metallic conductor with a rectangular, elliptical, or circular cross-section. I/Q modulators and I/Q demodulators must adhere to certain standards to ensure proper design and functionality. Standards can be found on the IHS standards store.